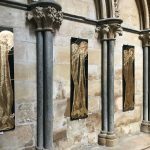 Knowing I was going to exhibit in the Chapter House at Lincoln Cathedral, I made the decision, to make 8 site specific angels. 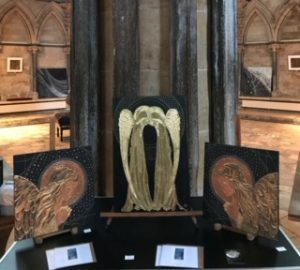 All angels are slightly different, and Lincoln Cathedral stone carver, Paul Ellis, now has one in his home, very flattered that such a skilled master carver owns one of my angels. 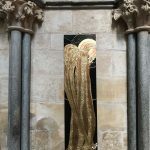 I will post more images of exhibition next time.